Hello friends!! Today I am here with slightly new to me project!! 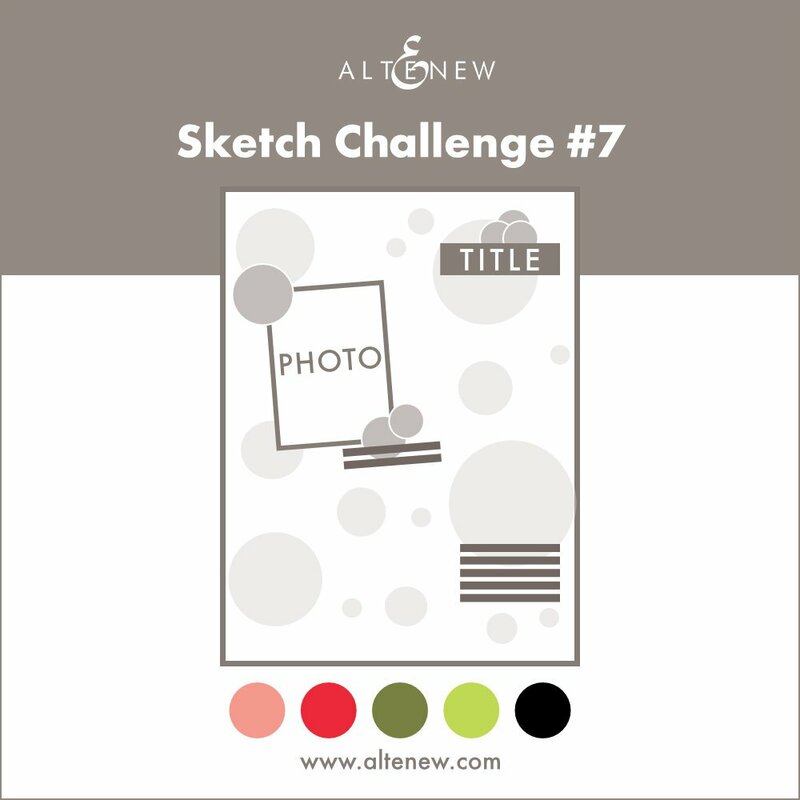 I always wanted to get into scrapbooking since my daughter born but it never happened until I saw this pretty sketch on Altenew Scrapbooking blog and thought to give it a try. 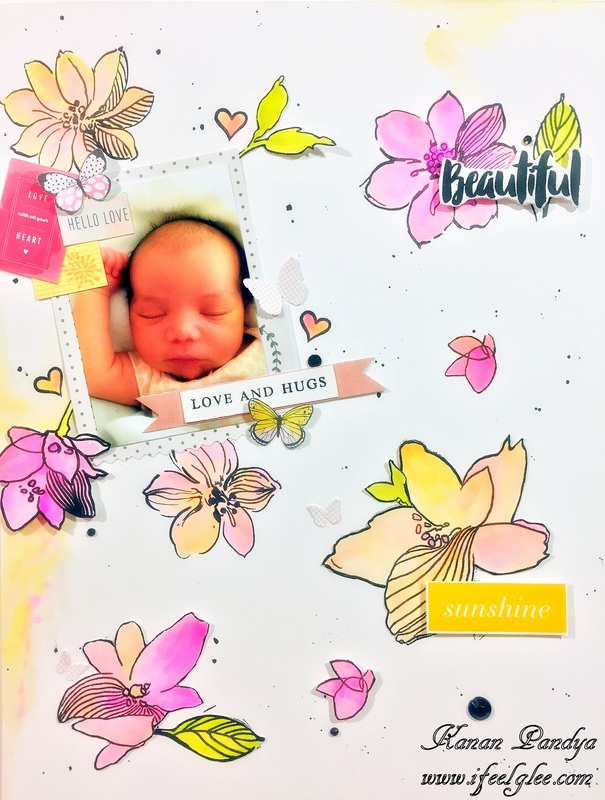 This layout is very special for me not only because it’s my first but also because I have used my daughters picture which I took in the first week after she was born (She is now three, yes it took me a long time 😉)I started stamping the images from the “Sketchy Flowers” and “Wild Hibiscus” as they look pretty similar. To color them I used Zig markers, I wanted warm colors so used pink, orange and yellow shades. Added few flower with dimension for more interest. I added the picture,Also, added some splatters. For the embellishments using patterned papers and stickers. The main sentiment is from the “Charmed” set by Altenew. I kept it really simple, hope you will like my layout. 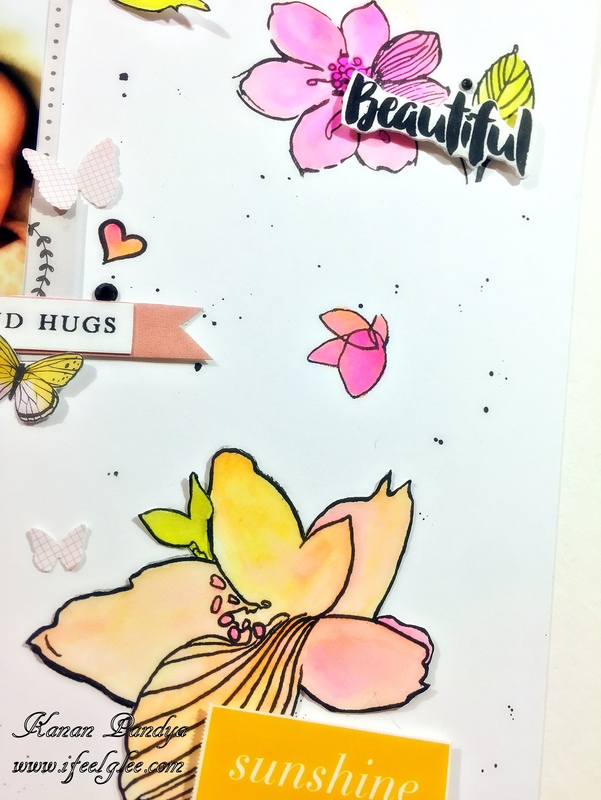 Author kanan0815Posted on January 31, 2018 January 31, 2018 Categories ScrapbookingTags Altenew, watercolored, Zig MarkerLeave a comment on Beautiful! !